PRINCE AND HIS DADDY THE KING OF POP. WE LUV U BOTH R.I.P KING OF POP. 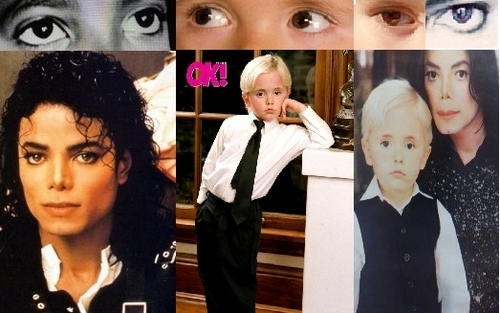 Wallpaper and background images in the Prince Michael Jackson club tagged: michael jackson prince michael cute. Prince and Blanket have Michael's eyes. I love this picture...they have the same beautiful brown eyes!! !